Introducing Waterloo’s hottest new girl power basement cocktail bar, Tonight Josephine! Inspired by Josephine de Beauharnais, 19th century party girl and wife of Napoleon, this bar screams a concoction of debauchery and femininity. As soon as you enter, you’re greeted by some fairly bold statements, featuring, “Why the f*ck can’t I have fun all the time”, and shortly after a neon proclamation “Well behaved women never make history”. 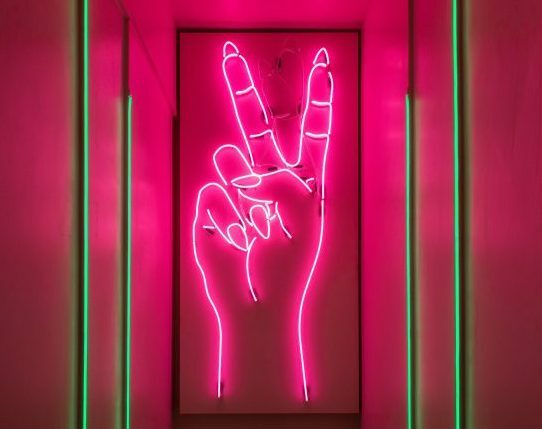 This bar embodies everything femme and all the girl power that you can imagine, and that’s without mentioning their mighty range of cocktails, which range from Toasted Popcorn Sour, Ziggy’s Stardust, Violet Femme, and more. Whether you prefer your cocktails original & classic, or mind-blowingly inventive, Tonight Josephine promises not to disappoint! So, if you like your cocktail bars with an exciting story behind them, as well as a vibrant atmosphere, get yourself down to this summer’s most revolutionary cocktail club.